548&560 Magnolia Street, Spartanburg, SC 29303 (#241757) :: Century 21 Blackwell & Co. Realty, Inc.
Includes BM# 7-12-01-156.00 AND 7-12-01-156.01 Property runs from Brick Church to corner of Ridge St. 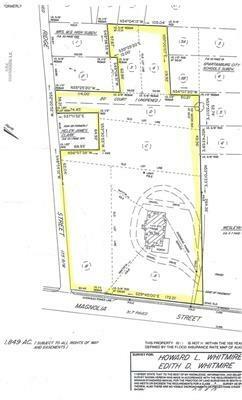 Excellent for many uses Seller received letter stating property has been annexed into the City. Corner lot ready for your business . There is no structure on the property. Plat is in the Associated Documents.